Five minutes into our interview, Jarno Trulli started talking about the weather. Under normal circumstances, this is not a good thing. When a conversation turns to unseasonal heat, or the lack of rain, it's generally a sign that you're struggling to even make small talk. But this time, I was hanging on every word. This was fascinating stuff. No, really. Decked out in a team-issued shirt and a Jarno-issued pair of unsettlingly yellow tartan trousers, Trulli leaned back in his chair, frowning slightly, nose crinkled. There had been a warm spell in his native region of Abruzzo in central Italy, and he wasn't happy about it. "Too hot ..." he winced, shaking his head. "We need showers, a bit of rain. In 2003 it was a bit hot, and even the year after was a bit hot, although we had a bit more rain. But 2006 was actually the best season in the last ten years." OK, I'll explain. Trulli, like myself, harbours a keen interest in wine. Where our paths diverge is that Trulli's day job has afforded him the means to develop it to the point of setting up his own winery, Podere Castorani. At the time we spoke, his 35-hectare vineyard was only a few weeks away from harvest, and a break in the weather would make a massive difference to the quality of what ended up in the bottle. It would be easy to write that motorsport and wine do not exactly go hand-in-hand - one being measured in hundredths of seconds, the other being measured in years, and all that. But they can also have a lot in common. Both require the fine-tuning of and harmony between infinite tiny details in order to achieve perfection. Both are easily over-intellectualised (see previous point). 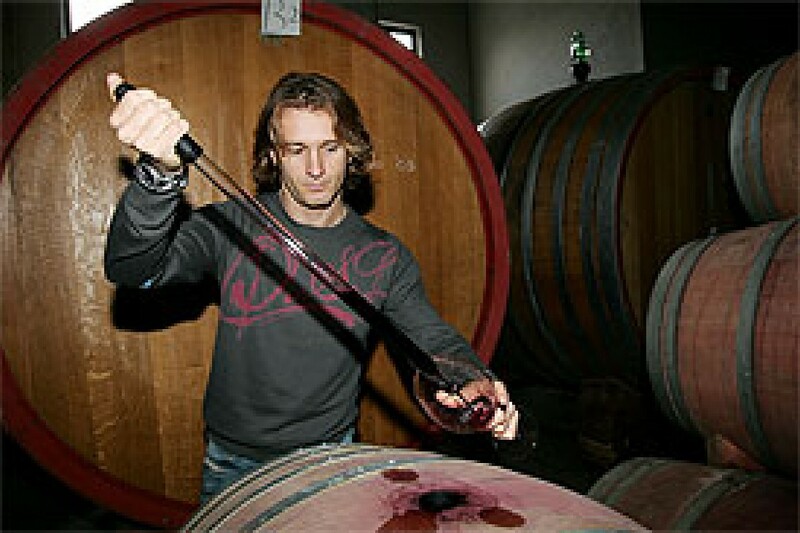 And in both cases, Jarno's interest can be traced from birth - Trulli has vino in his DNA. "My grandfather used to make wine," he explained. "I come from a region where wine and vineyards are very big. We have a long culture and a huge tradition about it. "My father [Enzo] wanted to do something apart from racing and motorsport. We have always been involved in motorsport, and we wanted to do something a little bit more simple. So I thought, 'why not do wine?' My father used to study agriculture, and my grandfather used to make wine, so we just started the business. "We bought some land, and started this business together with some other friends. The winemaker [Luca Petricelli] and the person who looks after the vineyards [Bruno Cavuto], they are specialists. And they are partners with us in this business." When he says that it's a business, he's not kidding. Podere Castorani's first release, in 2000, was of 18,000 bottles, all from Trulli's own vineyard. Compare that to 2006, when his winery produced a total of 600,000 bottles under 19 different labels, made partially from fruit grown on Trulli's vines, and partially from contracted vineyard owners. As a general rule, older vines tend to have the potential to make better wine - the grapevine might produce fewer individual grapes than a younger example, but the grapes that it does produce open the door to deeper, more nuanced flavours. "Some [of our vines] are very old - 27, 29 [years old] - so we make, let's say, the best wine from that vineyard," Trulli agreed. "And for other vineyards, we have replanted them so we have new ones. From those we do, let's say the basic, starting, entry-level wines. So we have got a little bit of everything. "But just last year we finished building a brand-new winery - 3000 square meters, all underground. We are serious about this." Managing an expanding mini-empire is one thing, but at the end of the day wine - as any self-respecting Italian will tell you - is there to be enjoyed. Few of us will ever get the chance to open a bottle of something from our own vineyard, though, and Trulli confessed that was a privilege that took some getting used to. "The first time I tasted my wine, it felt a bit strange," he admitted. "Obviously, it is very different. I was happy because I was having something that came from my land, and my passion. "It is good, especially when you know that people like it. At the beginning you are always very careful, because you don't want to say that it is too good, because obviously it is your product. "But when you hear people around you saying, 'it could be a good thing for the future; it is a good wine, you should carry on', then obviously it is good. And nowadays I am very satisfied, because when I travel around the world, even in Australia, I find my wine." Trulli is not the only motorsport identity to have found a second home among the vines - Jean Alesi and Mario Andretti are just two of the racing world's better-known vineyard owners. But unlike some, Trulli's name does not feature prominently on the many of the Podere Castorani labels. Unless you turned the bottle over and spotted the small printed signature on the back, you'd never guess that you were holding a wine with an F1 pedigree. This may seem a touch disingenuous - you only need to go as far as your nearest bottle shop to see how many different wines are vying for shelf space, and Trulli's profile seems an obvious hook. Jarno himself was less sure. "I think my profile helps a lot in promoting the wine," he said. "Not selling it, promoting it. Selling is, again, you need to have the product. You need to have good wine. And you need to have a good price. "When people pay, they are paying for the wine. They don't want to pay for me; I don't give them anything. I could be the best in the world or whatever, but in the end if the wine is not good, if the quality is low, they won't buy it. Or they will buy one, and then not buy it anymore." Although Podere Castorani might offer Trulli an escape from the intensity of his nine-to-five, he also sees it as another way to indulge his competitive streak. "It is different. It is good," he said. "There is competition in wine, but it is a different kind of competition. You have time to reflect, to improve, to do many things. 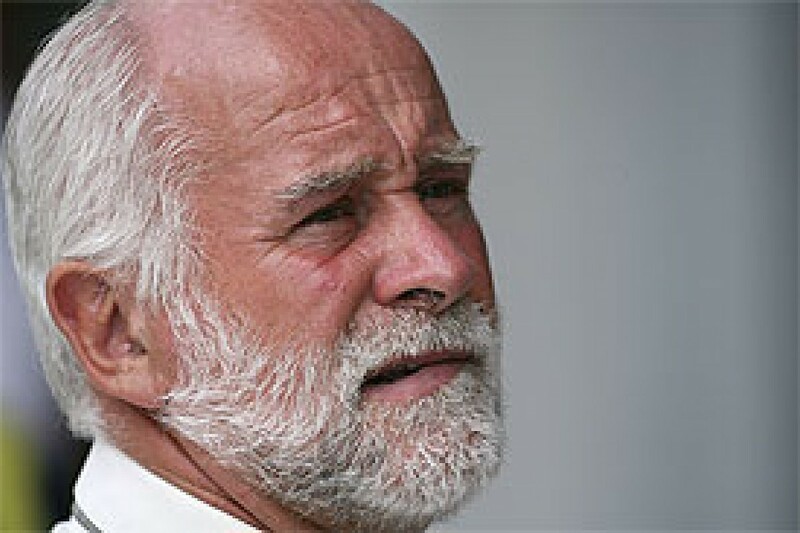 "Here [sweeping his hand towards the F1 paddock], it is just rushing. In every job that you do there is always a good side and a bad side. You just have to work out what it required from the different sides, and then try to do your best from there. It's good to have something different from Formula One." For all the talk of indulging a passion, there is also a sense that Trulli considers his winery as an opportunity to make a mark. It's an intriguing notion for someone who devotes most of his waking hours to striving for a world championship. "I want to do something important, because I think we can do it," he said. "We know that with the vineyards that we have, we can do strong wine; good wine. We are investing a lot in that, and it is working all around the world. "It's getting bigger... maybe bigger than expected! (But) I think this is going to grow. "We all have a dream, like having really nice vineyards with a chateau next to it. So we want to turn the old villa into a nice, really beautiful chateau next to the vineyard. There is still a lot to come." Including, possibly, something to occupy himself with when the racing career is over? "Maybe, yes. Probably. We'll see. If I enjoy it, why not?"